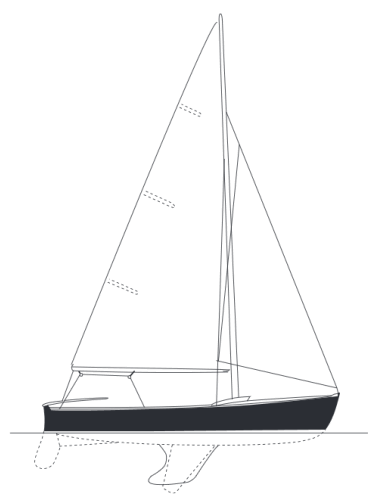 The Mercury can be built as either a centerboard or keel model. Because of her hull shape and high topsides the centerboard model has more of a keel boat feel than most centerboard boats. She can be easily launched and rigged at a ramp with the optional trailer. She glides through the water with ease. The keel model provides added stability and more cockpit space without the centerboard trunk. She can also be launched and rigged at a ramp but requires more water to float of the trailer. The seats in both versions create air tanks to keep the boat afloat when the cockpit is full of water. 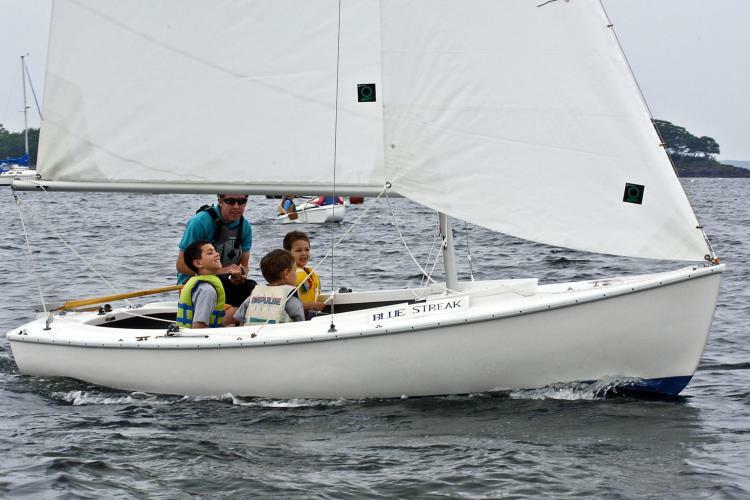 Used as a training boat by many sailing programs, the Mercury meets the need for novice and well seasoned sailors. She has cockpit space for five but can easily be sailed with two. The Mercury glides through the water with ease. Keel Weight Cast Iron 730 lbs. Weight C/B Model 470 lbs.